FTC Confirms It's Investigating Facebook For Possible Privacy Violations : The Two-Way The agency will look at whether the social network violated a 2011 consent decree when users' data was revealed to political strategists. The Federal Trade Commission is investigating whether Facebook violated an agreement with the FTC in allowing users' data to be revealed secretly to Cambridge Analytica and political campaigns. Privacy activists and some members of Congress have called for the agency to fully investigate whether the handling of Facebook user data violated a 2011 consent decree with the FTC. The consent decree was the result of a two-year-long investigation by the agency into Facebook's privacy practices. The current investigation stems from the purchase of personal data by Cambridge Analytica, a data analytics firm, from a researcher who gathered it by using a Facebook app. The app asked users to take a personality test and then gathered data not only about them but about their friends. 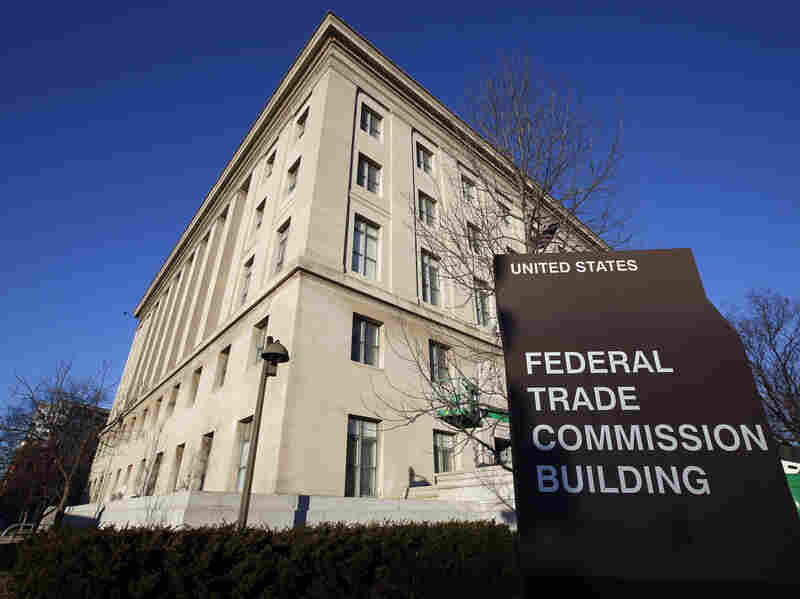 "This latest scandal will be a test case of whether [the FTC] is willing to put the public before the data gathering industry," says Jeff Chester, executive director of the Center for Digital Democracy, a privacy rights group. Chester and other advocates charge that the FTC hasn't been keeping a close enough eye on consumer privacy. But Chris Hoofnagle, who directs the Berkeley Center for Law & Technology at University of California Berkeley, says it isn't clear that Facebook violated the consent decree. According to Hoofnagle, the decree says that Facebook is not liable when users consent to giving their friends' information to Facebook. However, Hoofnagle thinks what is likely is that once the FTC starts investigating the social network it will find that it has engaged in other illegal practices. Hoofnagle says Facebook attracts developers by making it easy to get personal information. He believes that makes it very tempting for Facebook to overlook breaches of privacy so that they can keep attracting developers. In a statement, the FTC says it takes very seriously recent press reports raising substantial concerns about the privacy practices of Facebook. Facebook says it will cooperate with the FTC and says it would "appreciate the opportunity to answer questions the FTC may have." Facebook was also hit with another lawsuit. Cook County, Ill., is suing the company and Cambridge Analytica. Cook County's State Attorney Kimberly M. Fox says both companies violated Illinois' fraud law. In a statement Fox said, "Cambridge Analytica deliberately mislead Facebook users by mining — without user's knowledge — information about every Facebook 'friend' of people who took an online 'personality quiz.'" The suit also alleges that Facebook engaged in deceptive practices because it represented to the public that strict limitations and protocols on data gathering were in place. Yet, the suit says, Facebook knowingly allowed app developers, including Cambridge Analytica, to accumulate and mine data in excess of these policies. The Cook County lawsuit is one of several that have been filed since The New York Times and The Observer of London reported that Cambridge Analytica had gained access to private information belonging to tens of millions of Facebook users. Among the lawsuits is one being brought by a Facebook user as a class action case for violation of user privacy. Another case is being brought by a shareholder because of the drop in stock price after the data harvesting was revealed.